KJX is a Joint Play Detector used for inspecting the suspension system and steering system's Joint Play condition in a vehicle chassis. The play detector is made by three parts: 2 movement plates, hydraulic system and electric control system (with handhold remote & torch). The KJX plate be coated dry and wet material. 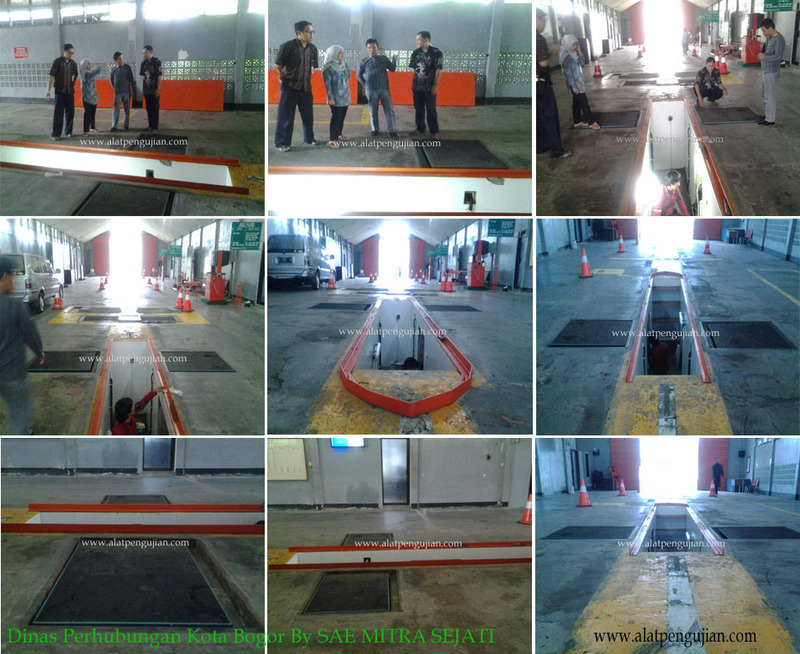 Where testing on a vehicle tire slip does not occur with existing platforms. The movement direction 8 direction (LEFT / RIGHT Plate: front/ rear & left / right. 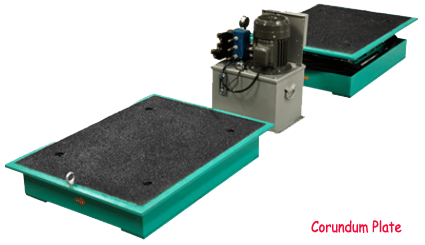 Control system plateform individual platform not move together. Special check one by one wheel check. The hydraulic system consists of oil tank, oil filter, motor-oil pump, overflow valve, pressure meter, reversing valve, oil cylinder and HP oil pipe etc. See the operating and hydraulic pressure principle of the hydraulic system. Turn on the rotary switch of the control box, the power supply indicator will be ON, the transformer will be electrified and the hydraulic station will be ready. Press down any switch (left, right, front and back) of the controller, the motor will be started. At the same time, open one reversing valve, the HP oil will be sent to one of the oil cylinders via the opened reversing valve, thus the piston of this oil cylinder will be driven and then the sliding plated will be driven to go forward, the piston of the other side will be pressed back to its oil cylinder and the oil in which will go back to the oil tank via the reversing valve. When the reverse control switch is pressed down, the sliding plate will move to the negative direction. The pressure meter only shows the pressure when the platform is subject to any resistance. When the platform reaches the end, the pressure meter will show the operating pressure, at this time the pressure oil will go back to the oil tank via the overflow valve.